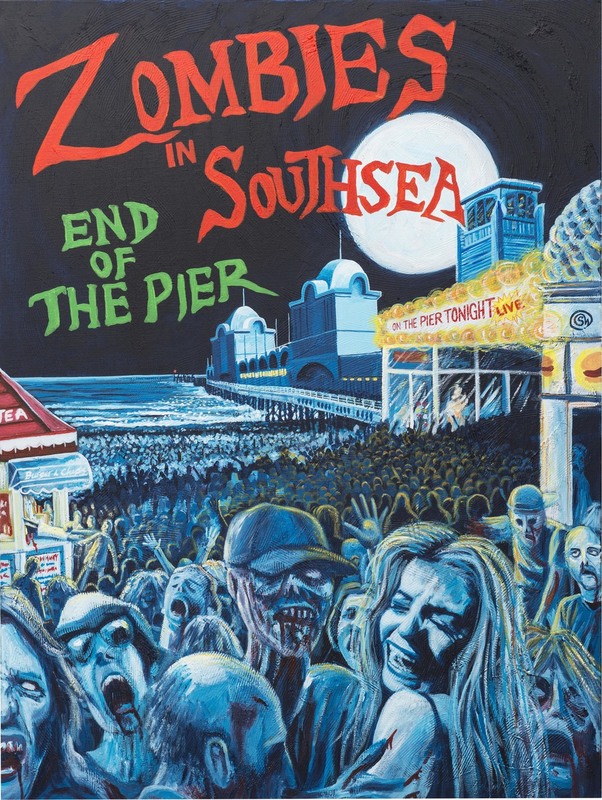 Taking a break from his usual subject matter and responding to an invitation from The Kings Theatre, Southsea, Simon produced paintings for the ‘Art of The Living Dead’ exhibition. 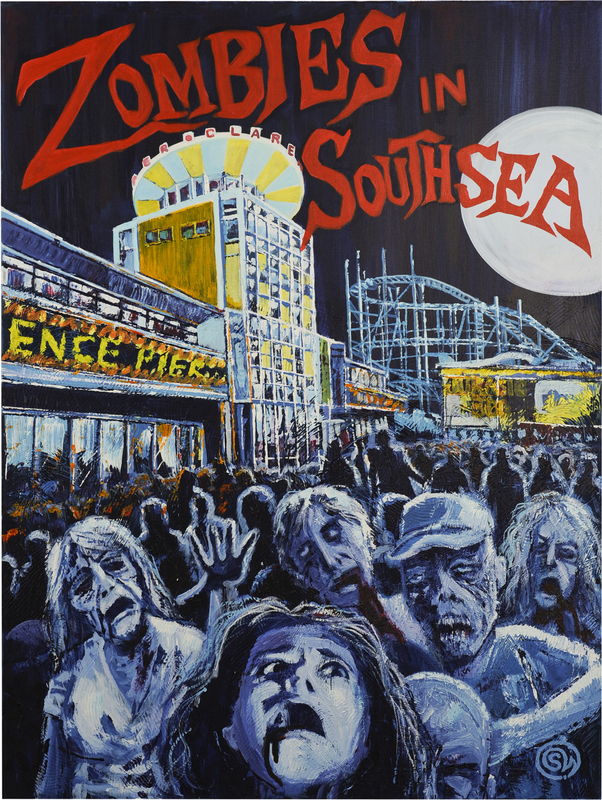 This artwork was on display at the Kings Theatre, Southsea, for Halloween .The collection features Simon’s Dr.Frankenstein’s monster as well as ‘Dracula’ and ‘Zombies in Southsea’. This was later followed by a sequel, 'Zombies in Southsea, End Of The Pier'. All influenced by film posters from horror made in the late 1960’s and 1970’s. The paintings are textured and mixed media and have hidden detail within.